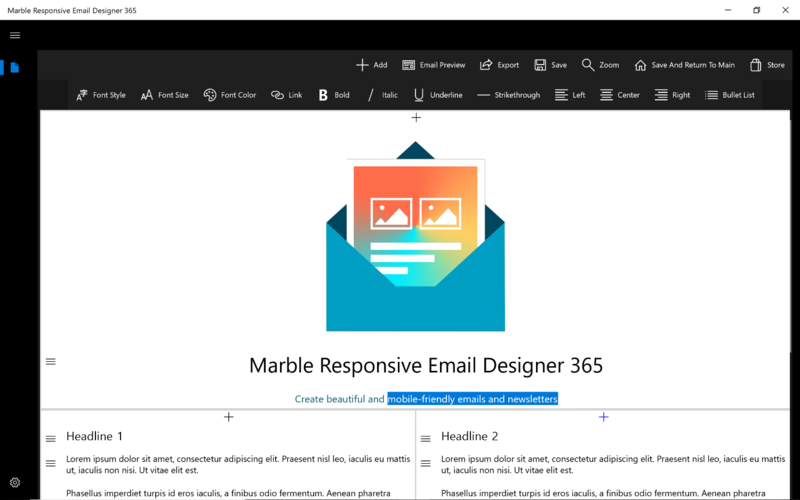 Marble helps you design beautiful and mobile-friendly emails and newsletters. 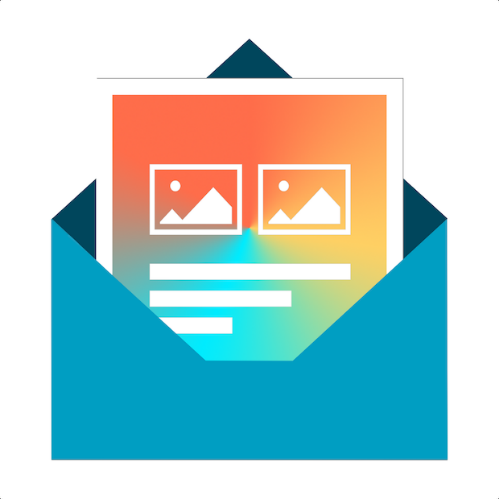 This app automatically generates responsive HTML for your mail designs, all you have to do is drag and drop, point and click (zero lines of coding required). 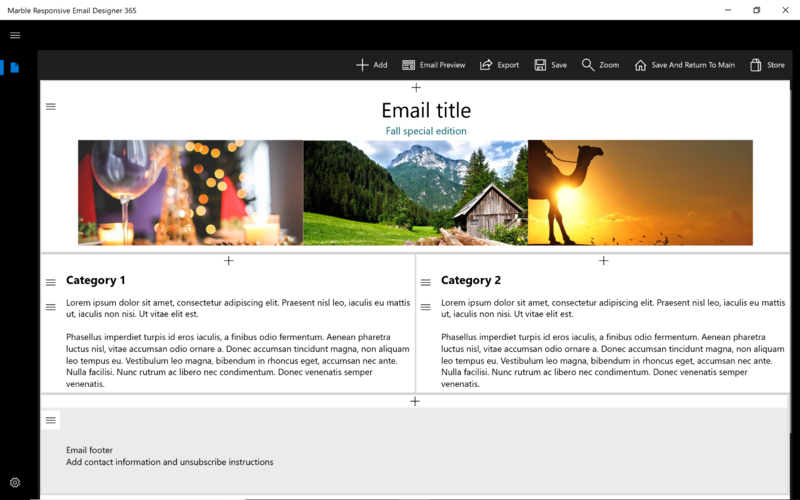 Easy to use drag and drop editor, customize with your own logos, photos and colors. 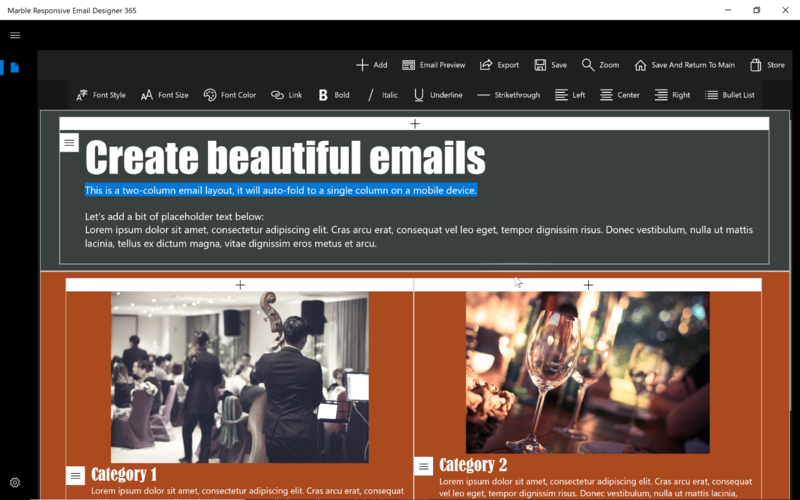 Beautifully crafted, optimized for compatibility with modern email clients and mobile-devices. Built-in Mobile and Desktop preview. Supports beautiful fonts, rich text styling with bullet lists and hyperlinks. Create action buttons and web links to your websites. Easily apply links to any photo, button or text. Hundreds of gorgeous colors and shades. 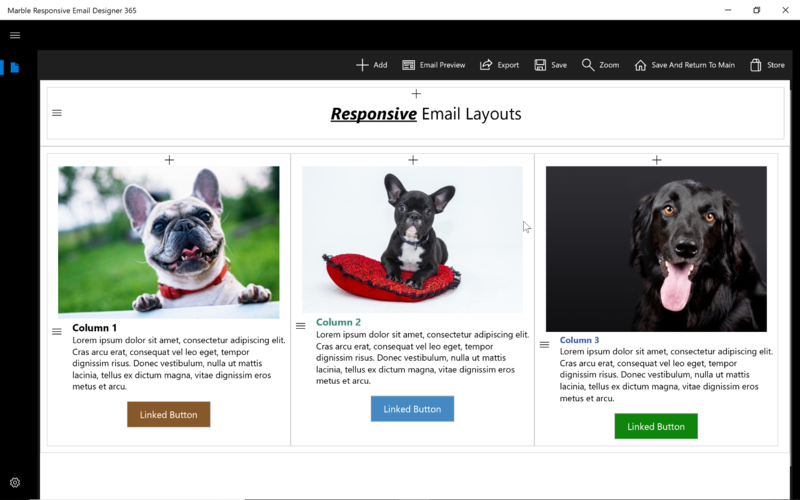 Export features allows you to export the complete set of source code for your responsive email design. 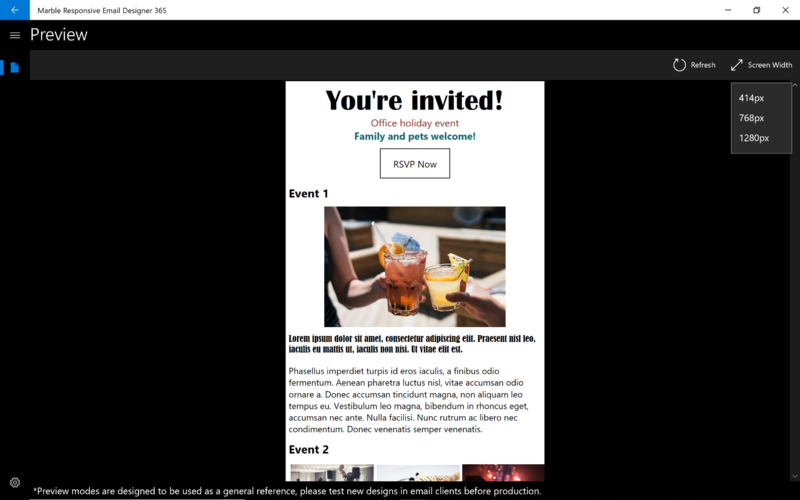 Stack-able responsive sections makes it simple to create multi-column designs that auto stack to a single column on mobile mail clients for easy viewing.